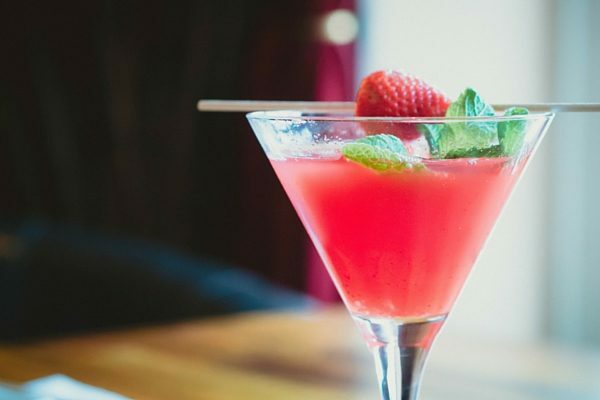 The other day I was learning how to make classic cocktails and it was interesting to know that a non-alcoholic cocktail such as the Virgin strawberry daiquiri is also known as the “Pregnancy-safe” cocktail no pun intended. The lessons started off with a Mojito a fresh minty, zesty lime drink and anchored with crystal clear smooth Bacardi white rum with a dash of sugar syrup and a healthy helping of crushed ice. The Mojito is actually simple to make but it has a complicated look. Which got me thinking not everything that looks complicated in business or in life actually is. We spend most of our time building mountains from speed humps instead of simply breaking down problems or goals into actionable steps. The Long Island Ice Tea was next, a drink deceiving in taste and in name as it resemblance the color and flavour of ice tea but heavily potent, with equal parts Vodka, Gin, Tequila, Bacardi and Triple sec mixed with coca-cola is an ice build cocktail. Did you know that ice is arguably the most important ingredient in a cocktail? Take a moment and think about that. How many cocktails do you know that do not include ice? Sometimes your most common prospect is your greatest asset. There is certainly nothing special about ice to write back home about and one of the cheapest ingredient in a cocktail but still the most important. What are some of the things that you are taking for granted in your business because you believe they are not significant enough in value or stature? I am always amazed at how many people in business spend most of their time and money on the WHAT rather than focusing more on the Who, the Why, and the How. The Margarita is a cocktail mixture of Tequila, Lemon Juice, Tripple sec and can be served shaken with ice, or blended with ice. The What can be likened to ice and the Who, Why and How can be your three ingredients. The end result is always important (what – ice), at the end of the day when you are in business, you promise to deliver a service or product. However, how well you deliver and build brand loyalty is as a result of how you balance the ingredients in the drink “who, why and how”. How much time in your business are you dedicating to the Who… are you inspiring your employees to be brand ambassadors of your business? Are you investing in relationships and strengthening the bond of customer loyalty? Are you investing in yourself to being a transformational leader? Why… Are you purpose driven? Do you understand your mission and vision? How… Are you constantly striving and challenging yourself and your business into finding innovative, efficient and transformational ways to do business? “Shaken, not stirred”… It can only be a Martini. This is one of my all time favourites made with Gin and Vermouth, and if really you want to get down and dirty garnish it with a splash of olive brine or olive juice. Even James Bond is a fan of the Martini but he certainly didn’t drink it all the time. Bond and alcohol go together and over the years we have seen him consume a broad range of liquor. Nonetheless, one thing has remained true, he always had a preference, whether it be wine, whiskey or cocktails. “Know thy customer, Know thyself and never take anything in business for granted” Tastes may change from time to time, but certain things will always remain constant such as values and purpose. I recently moved from using a Sony Z3 to an iPhone 6S, the essence of both gadgets is that there are both smartphones (liquor), Apple or Sony (whiskey or wine). iPhone 6S or iPhone 6S plus (Shaken or Stirred). Every single person is unique, what is your Unique value proposition as a business? Do you know who your target audience is? Are you delivering what they need? Are you staying relevant? 1 – Ice is the difference between a bad and a good cocktail but what separates good from great is the balance in spirit. Having a vision or understanding the what is very important in business. But the Why, Who, and How will determine if you will be great. 2 – Not everything that looks and tastes like Ice tea actually is. “Do not start a business to become a business Operator, create a business and transform into a business Owner. 3 – Find the simplicity in the complexity, break goals and problems into actionable steps. 4 – Know thy customer, Know thyself and never take anything in business for granted.